Homes for Sale in Beaufort, SC and surrounding areas - Mary McClaskey is Beaufort's Relocation Expert. Buy with Confidence. Sell with Success. "With Mary's leadership on how the house was staged, it was sold to the first person that looked at the house. What a fabulous realtor! She stays on top of EVERYTHING and keeps you advised. What a great partner in both selling and buying your home." "If only I had more homes to list with Mary. She truly is an agent like none other I’ve seen before. Mary went above and beyond handling the sale of my house in the Lowcountry while I was living in Washington, DC. She came recommended by great friends who too had a very positive and successful experience with her. Without any reservation, I highly recommend Mary for all your real estate needs." "I'm glad we had Mrs. Mary. Buying a house was scary at first. Mrs Mary, was an excellent agent. She was very informative the entire time. She made us feel like family instead of another couple looking for a home. We ended up purchasing a new construction. During the home orientation and walk-through, she was finding things more than I was. It was good to know that she was on our side, not the big company. We really appreciate everything she has done for us. " "Mary helped me purchase my house and when I needed to sell in LESS than a year, she got it done. She really jumped in, advised me on staging, and got my home sold in record time, for more than what I paid! Great experience both buying and selling, with Mary. I'd recommend her services to anyone who is looking to purchase or sell. " "I am a NC and SC Broker, GRI, CRP, and have been in this business for about 28 years before retiring in 2016. I have been a Broker in charge of an office in Raleigh and Cary, NC , sold real estate there also, I taught real estate classes here in Myrtle Beach for 17 years, I give you this information about me to let you know that I know what a great real estate looks like in every way....and Mary McClaskey is one of them. I have watched her work, discussed deals that she I was working on enough to know that she works hard for her clients, is very caring and helpful in every way. She was married to our only son, who died about a year ago, and I love her as a daughter in law, as well as her caring ways and detail work ethic. Her record of success proves every thing that I am saying about her...she really works hard for her clients, attending to every detail to bring success for clients. If I were a prospective buyer or seller in the area, I would hire her for sure. Gloria Dupre"
"A true real estate professional. We listed two homes with Mary at the same time and both went under contract and closed within 30 days. Being in the military, our family was tied to a strict timeline and Mary was aggressive in ensuring our properties were advertised and viewed to the fullest extent. More than pleased with her work from start to finish. No one knows Beaufort better than Mary!" "Mary was very patient and accommodating when we were looking for a home. She was knowledgable and professional. She was also honest, and her opinion was appreciated. " "Mary is absolutely wonderful. She's personable, genuine, honest, patient, dedicated, and an overall sweet person. She took the time to really understand what type of property my wife and I were looking for and worked very hard to ensure we got what we wanted for the price we could afford. Despite going back and forth in our decision-making, she never grew impatient or frustrated with us. She advised us while we weighed the Pros and Cons of each property. It was obvious that it was personally important to her that we wound up in the property that we wanted. I recommend her services to anyone and everyone." "I would highly recommend Mary; she is a delight to be around. She has a great deal of experience and knowledge of the Beaufort and Bluffton area; she helped my fiancé and I find our first home. As a first time home buyer we had lots of questions and were very nervous about finding the right person to represent our needs in this venture. Mary McClaskey met our demands as new home buyers, answered all our questions and helped us with the whole home buying process, she is a very kind hearted person, and great agent to have on your side. " "Mary worked with us to sell our property on Cosaw Island. She helped us price it propperly and was always very pleasent to work with. She helped us to get the contract signed while we were on a river cruise in europe. Job well done! Many thanks Penn "
"I have found Mary to be of the highest quality both personally and professionally. Mary has exhibited only the highest standards related to her morals and ethics in the real estate industry. She comes with the highest recommendation I can offer!!! Great job Mary !!!" "Mary is a dedicated professional.She works hard, and is diligent.Together with a winning personality, all her other attributes, make her the perfect realtor. (LinkedIn recommendation)"
"Mary is a hard working, diligent agent. I have enjoyed working with her on several deals. She holds a high ethics standard and works tirelessly for her client. If I am buyer or seller, Mary is the agent I would choose! (LinkedIn recommendation)"
"I recommend Mary because she is a very proficient and professional broker. She is excellent to deal with, always pleasant and pays attention to detail. She never sways away from her high quality of professionalism whether dealing with clients or other real estate professionals. (2013 LinkedIn recommendation) "
"Mary is a detail oriented Real Estate representative. Local real estate knowledge a plus in addition to the professional services provided. (LinkedIn recommendation Jan 2013) "
"My sister and I had property listed with other realtors for over two years without an offer. We contacted Mary and within weeks we had a sale! Mary's enthusiasm, energy and attention to detail were just what we needed to seal the deal. I would highly recommend Mary to anyone looking to buy or sell." "My property was listed with others for more than two years without a single offer. I contracted with Mary and within 10 days she brought an offer to the table. And today, just weeks later, we close the sale! I couldn't be happier with Mary's fresh perspective and attention to detail. Even though I've bought and sold a number of homes, each transaction is unique and I relied on Mary's thoughtful, well-reasoned guidance throughout the process. I enthusiastically recommend her whether you are buying or selling!" "Mary was not only an amazing realtor, she was/is an amazing human being. With being first time home buyers we were very nervous with the process. Mary was very patient and took the time to concisely explain each step along the way. When issues arose she was there to get them resolved as efficiently and effectively as possible. She kept the lines of communication flowing so that we knew what was going on at all times, which allowed us ease of mind. We always felt like Mary had our best interests at heart throughout the tedious process. We DEFINITELY will be recommending Mary to people we know that are looking to sell or buy a home!" "Mary has my highest and most enthusiastic recommendation. She is a consummate professional who became a friend. When it comes to building relationships and pairing clients with their dream homes, there is no one better." "Mary worked to go above and beyond my expectations in the purchase of a home in South Carolina. I received PCS orders from California to South Carolina in the Spring of 2014 and originally began working with an agent at Coldwell Bankers Platinum Partners. I felt like my agent there did not hear me or my concerns and seemed to be more busy with other clients. I was uneasy about the transaction and began looking for a new agent. Mary's name came to me through multiple forums and with stellar reviews. From day 1 of contacting Mary, she has been easy to speak with, responsive with calls and emails, and has spent time considering my needs and interests in buying a new home. Mary gave up a whole weekend and days out of her personal schedule to help show homes to my partner and I, despite our command issues with leave and our shifting the dates twice. Mary was accommodating, warm and easy to feel comfortable around. I am new to the area and Mary helped allay any of my fears in purchasing a h"
"Mary responded to all of our needs in a professional and friendly manner. She spent quite a bit of time with us and her input was very beneficial." "I had the good fortune to first work with Mary McClaskey back in 2006 when I had traveled from Okinawa, Japan to Beaufort looking to buy a home. I was stationed in Oki, but had orders to MCRD, Parris Island and planned on retiring in the area. Mary was AMAZING! She is incredibly personable and actually listened to what I was looking for in a home. She was respectful of my budget and didn't try to push me into a house I couldn't afford to make a better commission. I was only in town for a week and Mary had all of the homes ready for me to look at. She worked with my short timeline of one week, flawlessly. I had to fly back to Oki, but Mary handled everything and we ended up closing a week early (later the next month) on a beautiful home on Lady's Island. I ended up not retiring in Beaufort....they always say: "Never fall in love with your plan." So, in 2010, I needed to rent my home. I knew I wanted Mary to be involved. Mary did a phenomenal job finding wonderful and responsi"
"I found Mary McClaskey's website last Spring while browsing through homes for sale on the internet. When I contacted her via email about the possibility of buying a vacation home in the Beaufort area, she responded immediately and went to work to help us find exactly what we were looking for. Even though we were several hours away, she kept us informed about new listings and when we did come down for a visit, she toured us around and showed us everything on our list. She was there for us every step of the way and her attention to detail was impeccable. We purchased our getaway place on Lady's Island and we couldn't be happier. Not only do we have a great Realtor, but we have a new friend! " "I wanted to take the time to let you know how pleased Patty and I have been with the level of professionalism that you provided us while being our agent during the sale of our home. Your positive attitude and perseverance kept us motivated through the long, hard months that it took to sell our house. You always kept us appraised of the difficulties facing the housing market, giving us sound advice about what next step we needed to take in order to sell our home. I also wanted to mention the incredible impact that your marketing strategy had in the volume of showings our home had. Selling a home is a stressful venture, but you made it as comfortable as it could have been. Mary, Patty and I want to thank you from the bottom of our hearts. You have been more that our real estate agent, you are our friend and we wish you the best in the future. " "As first-time home buyers, Mary took the time to explain the process and helped us every step of the way. She assisted in every aspect of our move as a military family relocating all the way from California, we can't tell you how valuable this was. We let her know what we were looking for and she had everything ready when we arrived. Her thoroughness and attention to detail made us certain that we were purchasing a quality home. We love our new house and would highly recommend Mary to anyone looking for a Realtor. " "Mary helped me with my home purchase in Yemassee. She has very strong work ethics, always on point and had answers to my every question She was OUTSTANDING in every way...understood my needs, very knowledgeable, stayed on top of things, went out of her way for me and always available when I needed her. She always stayed in the light behind the scenes, providing me with timely information on every move, making sure there were no problems or surprises during the closing process of my home. I was pleased and lucky to have had her as my Realtor and definitely recommend her services to other Buyers! " ""Mary exceeded our expectations in every aspect with the sale of our home. In this slumping market, she was able to effectively market our home which resulted in a sale within 3 1/2 weeks of it being on the market! She was consistently informing us of current market trends throughout the process and advising us to the best of her professional knowledge while keeping our needs and thoughts always in mind. Mary was always on top of every detail, dedicated, and professional. Her demeanor was always positive and she never left "any stone unturned". Because of her superior service, we are able to move to our next duty station with confidence and most of all without the worry of leaving a home behind in Beaufort, SC. Thank you Mary for a splendid job!!!"" 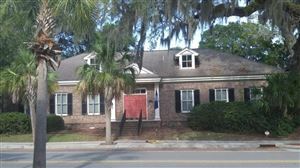 "Mary proved to be an invaluable asset as we sold our first home on Lady's Island during a difficult downturn in the market. Her detailed analysis and advice helped us sell our home immediately after we moved home to Florida. I highly recommend her to any seller seeking a diligent, thoughtful Realtor who will work hard to help them sell a home. " "Rick & I just had to let you know how much we appreciated all you've done for us. We certainly had our hands full selling our house in Minnesota, but we had no worries purchasing our home here, and that's because of you. Your attention to details and your follow-through went way beyond our expectations. The purchase of our new home was smooth & problem-free. You even contacted us after we moved in, just to see how things were going. Wow! And finally, your warmth, understanding and patience was wonderful. We couldn't be happier in our new home! " "We are first-time home buyers and bought a new construction. She made sure we were taken care of by the builder, inspections, etc. Mary was very informative, patient and we think Mary did an outstanding job. The whole process of buying a home went very smooth. We appreciate all the hard work. " "We have bought/sold over a dozen properties over the years and Mary gave us the best service we have experienced with a real estate professional. " "Mary exceeded our expectations as our Realtor. Through our home-buying process, Mary was professional, knowledgeable, available and loyal. Our experience with her was that she was very pleasant and we always felt she was looking over the entire process while we were out of town. We were very satisfied with her service and we just want to say, "KEEP UP THE GOOD WORK!! We would definitely recommend your services to anyone buying or selling a home "
"My Husband and I would just like to send our deepest gratitude for all that you have done. I would also like to thank the Najmulski Family for recommending my family to you. We along with the Najmulski Family were moved here due to the military from San Diego, California. When my husband received orders from the US NAVY, I didn't know how I would go about finding a home in an area I knew nothing about. A safe neighborhood was very important to us, especially for the fact we have a young child. I love my community, and I adore my home. Mary you definitely proved that finding my home was more than a job, you made it your concern and priority. Thank You. I will continue to spread your name to others who are looking for a home and who want quality service. " "I just wanted to say THANK YOU for all you have done. I never would have thought that selling our home would be so easy and happen so fast, in time to put a contract on our dream home. You made this such a great experience for Summer and I, and I do not have the words to express our gratitude. I look forward to recommending you to everyone I know who is thinking about selling or buying a home. " "As buyers, the most helpful things Mary did in helping us find a 2nd home was her cheerfulness, knowledge, patience and the fact that she NEVER tried to sell us something NOT in our price range! It is especially challenging when you live on the west coast and know nothing about the area.. Mary's professionalism, friendliness, knowledge and the extra mile she went for us means a lot. We consider her our "first" SC friend. " "Mary exceeded our expectations in the purchase of our Lady's Island home. She ensured that we didn't overpay on our closing costs which almost happened. Mary is professional, knowledgeable, kind, calm, and more!! Mary, our home-buying experience with you was great. Keep doing what you do and we would gladly recommend you to anyone who is buying a home. " "Lori and I want to express our appreciation for your professionalism, attention to detail and expertise as our Realtor. Your personal concern for us made this a relatively stress free transition, and meant a great deal to our family. " "When we decided to sell our home on Lady's Island, we did not hesitate to contact Mary McClaskey to represent us as our Realtor. Having known Mary through our church and military, as well as having briefly been her neighbors, we knew that she would handle the sale of our house with her characteristic attention to detail and professionalism. Our initial meeting with Mary left us feeling extremely comfortable with, as well as confident in, her ability to represent us in the sale of our home. She made excellent suggestions that helped show the house well. She immediately helped determine the sale price, put together a beautiful flyer, and got our house listed. Mary handled two incoming offers with extreme professionalism and in a manner that allowed us to get the best price possible. Once we were under contract, she continued to to keep us apprised of the closing process. Our house sold for only $2,000 less than asking price. We could not have been more pleased. She literally held our han"
"Selling a home is not always easy as it sounds, especially when it is your 2nd home and you live four hours away. Mary does everything she can to market your home and looks out for your best interests. Since we were hardly in Beaufort, she took it upon herself to watch and keep tabs on our house. She made sure everything at our home was perfect for prospective buyers, inside and out. We feel as though Mary went out of her way for us. She constantly kept in touch to give us updates and feedback. Mary is very trustworthy and honest. There are many Realtors out there, but we believe Mary is one of a kind! " "Mary McClaskey helped us buy our home in 2004 and sell that same home in 2008. She was extremely helpful in every aspect in both transactions and we have nothing but the highest regard for her hard work and dedication. She kept us continuously updated along the way with both transactions and provided excellent tips to help us sell our home. We went from 'Newly Listed' to 'Under Contract' in just 5 weeks, and I firmly believe a lot of credit falls to Mary for assisting us with pricing, tips on set up and staging, and her agressive marketing. Mary's assistance was first class and we would gladly work with her again if the opportunity ever presents itself. Joe and Kanoko Sacshe"
"Thanks for helping us find such a nice community. It's obvious that you care more about your buyers' needs than making a sale. Your diligence and attention to detail provided the opportunity for us to purchase a home that fits our lifestyle. As first-time home buyers, you made sure we were not taken advantage of. Unnecessary expenses were cut as you worked hard to maintain quality service. We would recommend you to anyone. " "Thank you for making the purchase of our home run smoothly. Visiting Beaufort for just a few days from our home in Southern California, you readily made yourself available and shared your expertise - enabling us to quickly become familiar with the area and the homes Beaufort has to offer. Once we found our home, you put our mind at ease and skillfully negotiated the best deal possible. Throughout the entire process, you kept us informed and lived up to your promise of looking out for our best interests. It is a bit scary purchasing a first home, and even scarier when you are 2,500 miles away, but your dedication and excellence in your field made it seemingly effortless. We would gladly recommend you to our friends and family and look forward to working with you again in the future. " "Patty and I wanted to take this opportunity to thank you for the great job you have done by representing us as our Realtor for the purchase of our home in beautiful Lady's Island, SC. Your level of expertise and professionalism allowed for Patty and I to have a pleasant experience during our house hunting trips, and subsequent purchase of the home. You also provided us with a sense of trust that allowed for us to make the best choice of a home within our budget, without feeling pressured to make a quick decision. We sincerely hope to remain in touch with you, as Patty and I feel that you've not only gained a client, but also a friend. I would be more than happy to recommend your services to anyone should they require assistance with either buying or selling a home. " "My wife and I enjoyed a very pleasant experience with Mary McClaskey as our real estate agent. She helped us purchase our dream house that we thought would never have been possible. She helped us explore financing that we never knew existed, financing that enabled us to buy the house. She also helped us afford the house by letting us understand that we could rent the house very easily. When it came time to sell the house, she notified us of a timely market, and worked to get us a good offer. But it goes beyond that. Mary has been and continues to be very pleasant to deal with and always kept our interests in mind. That is a rare quality these days. " "We cannot thank you enough for your exceptional service that you provided to us from beginning to end in the process of selling our home. You came to us when you saw that our home was for sale by owner. We decided to meet with you and you listened to "our" needs and you committed to us that they would be met. We were very delighted with you and we signed a contract with you at that point. We were going out of town the following morning for a few days and you assured us not to worry and that you would keep in touch with us about any and all necessary issues from that point forward. We were very nervous about everything and while we were away you kept in touch with us and re-assured all our fears. In about a month's time you had a solid contract on our home for the price "we" expected to have. You followed through on everything to do with the sale of our home to the very end. You made sure that all "our" needs were met, and they were! You were always there for us no matter what. " "Mary listed and sold two of our homes in Beaufort. One was in the Mossy Oaks area and the other one in the Depot area. We were very satisfied with all her services and she certainly exceeded our expectations. She kept us well informed since we live in Texas and there were no problems. We recommend Mary to anyone who is selling their home. "